Sushi Train Springwood Station will be closed, due to Logan City Royal Queensland Show Holiday. 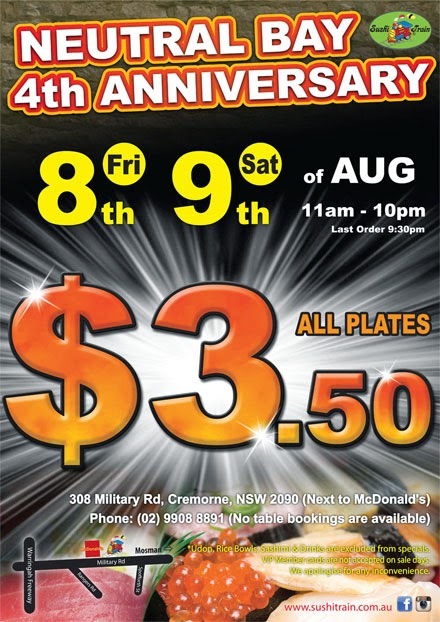 Sushi Train Springwood Station will be closed on Monday, 11 August 2014, due to Logan City Royal Queensland Show Holiday. Management of the Sushi Train Springwood. Udon, Rice Bowls, Sashimi & Drinks are excluded from special. 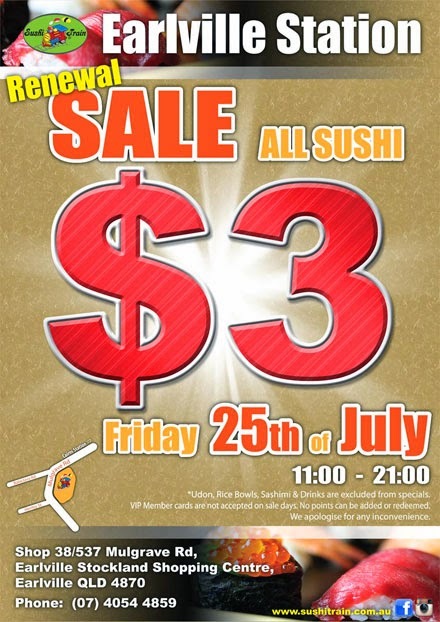 Sushi Train Earlville Station Renewal $3 Sale!